Instantly awakening the senses, Grapefruit has a lively uplifting citrus node, with a spicy heart. Terrai has developed a special blend for you to create this outspoken citrus scent. 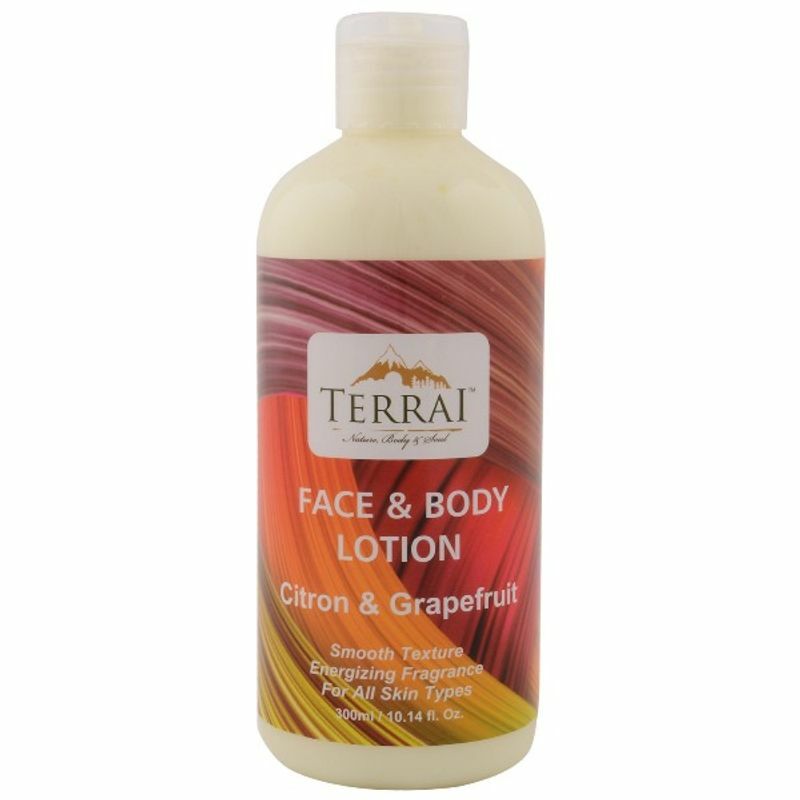 Terrai Citron & Grapefruit Face & Body Lotion feels light on the skin with a smooth non-oily texture that will ensure to keep your skin soft and silky. The enchanting fragrance lingers all day long and helps you to stay and feel fresh.